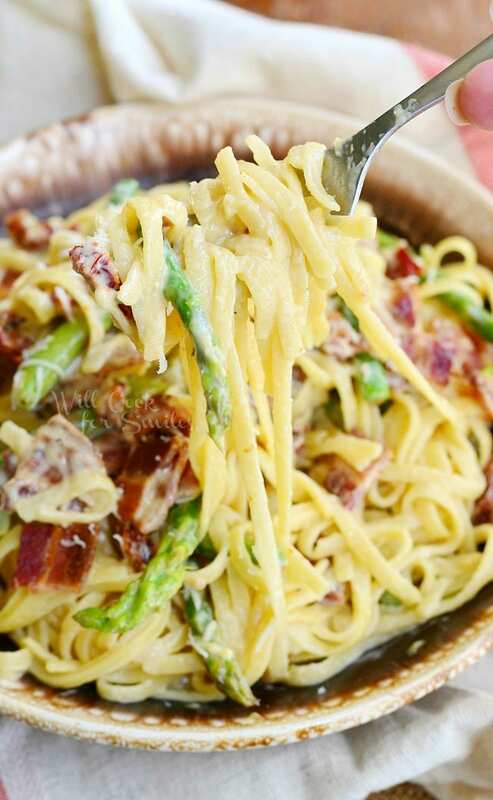 Delicious, comforting Pasta alla Carbonara that would be perfect for any weeknight. 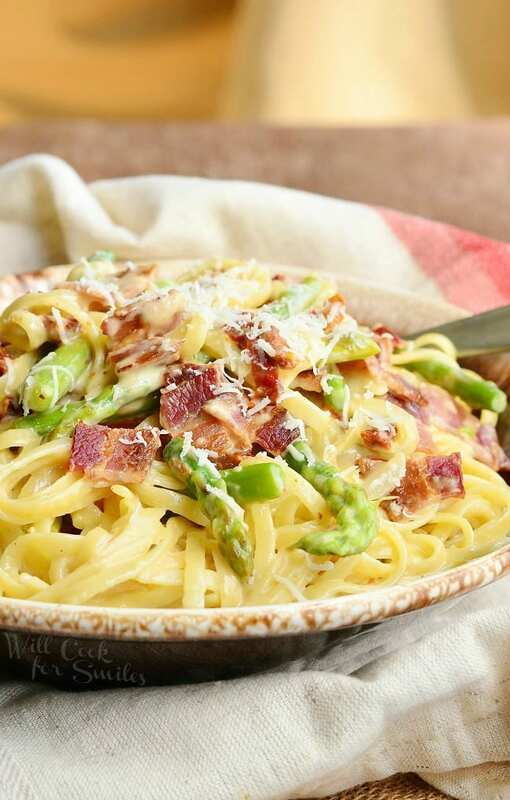 This creamy, cheesy deliciousness is made with bacon, fresh asparagus and sun-dried tomatoes for a flavor pop. When you do something wrong…do it right! 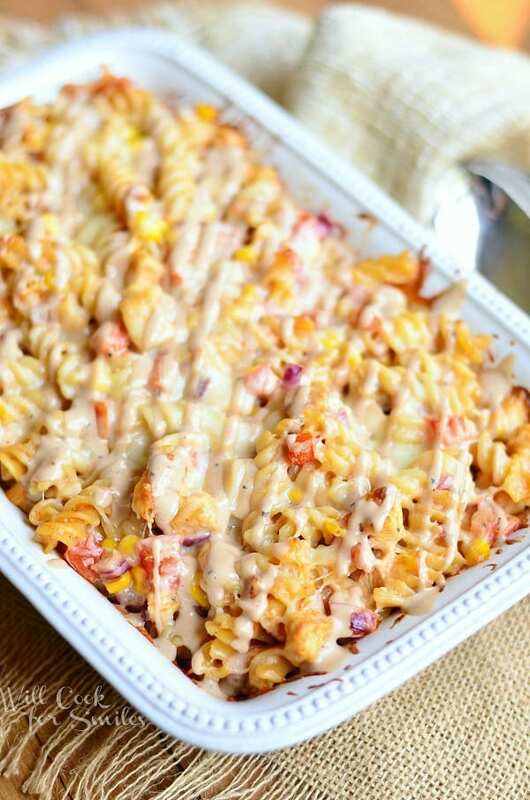 Comfort food is called “comfort” for a reason. It’s good for your soul but not exactly healthy. That’s why I try not to eat pasta often. Actually, I eat it quite rare. I love it, just as much as I love cheese, bread and sweets. I wish that I could eat nothing but comfort food all day every day. But that’s all it is, wishful thinking. 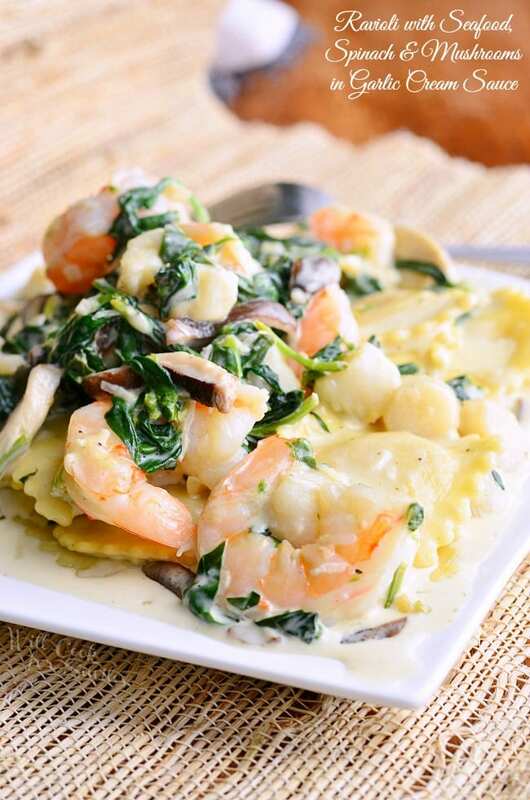 Even though comfort food every day is not the way to go, once in a while it’s nice to have. So when I do eat pasta, I make it worth it! 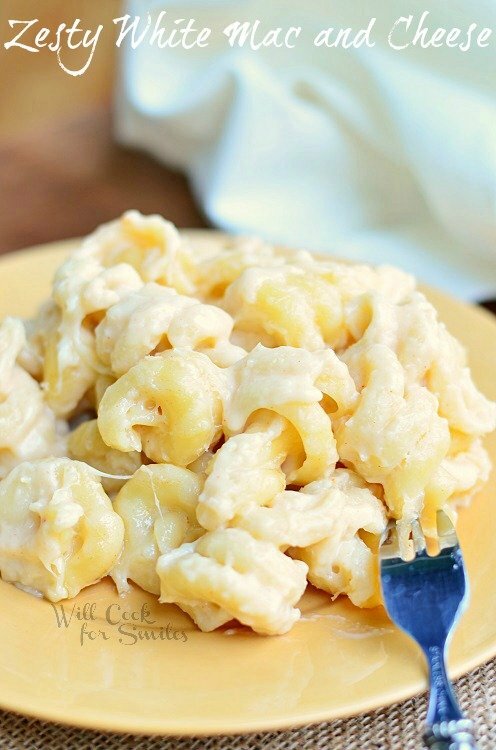 Cheesy and creamy is my favorite kind. Sometimes you just crave that nice bowl of comforting pasta. 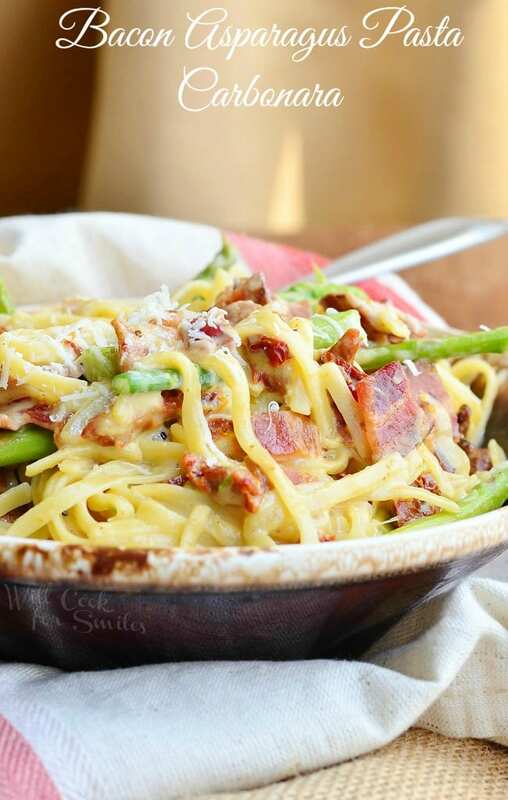 I would say that Pasta alla Carbonara is my favorite next to Alfredo. 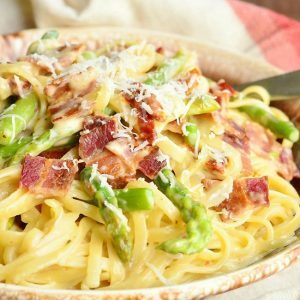 This creamy, cheesy deliciousness is made with bacon, fresh asparagus and sun-dried tomatoes for a flavor pop. Cook pasta al dente. Add asparagus to the pot when pasta is about half way done. 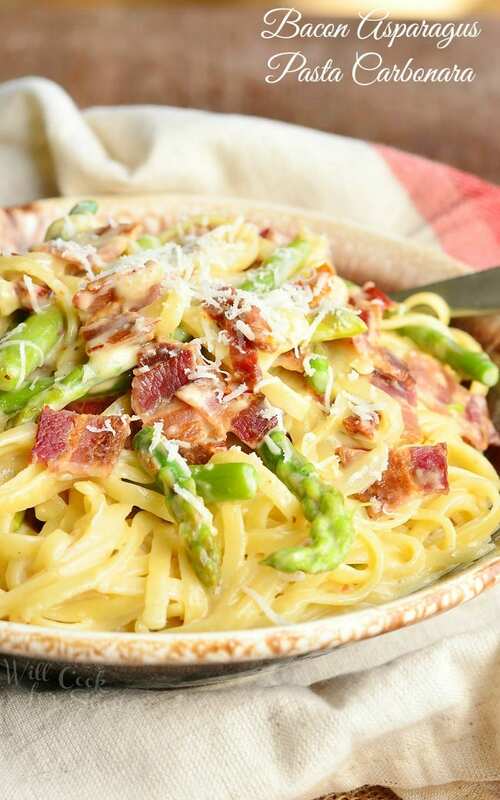 Drain and bring pasta and asparagus back to the pot, Set aside for a few minutes. In a medium bowl, whisk eggs and heavy cream together and mix in the cheese and some salt. While pasta is about half way done, preheat a large skillet over medium heat. Add chopped bacon and cook for a few minutes, until bacon fat starts to cook down. Add sliced onions, minced garlic and sun-dried tomatoes. Saute until onion is translucent. Add pasta and asparagus and mix well. Salt to taste. Add half of vegetable broth and heat through. Take skillet off heat and start adding egg mixture right away. 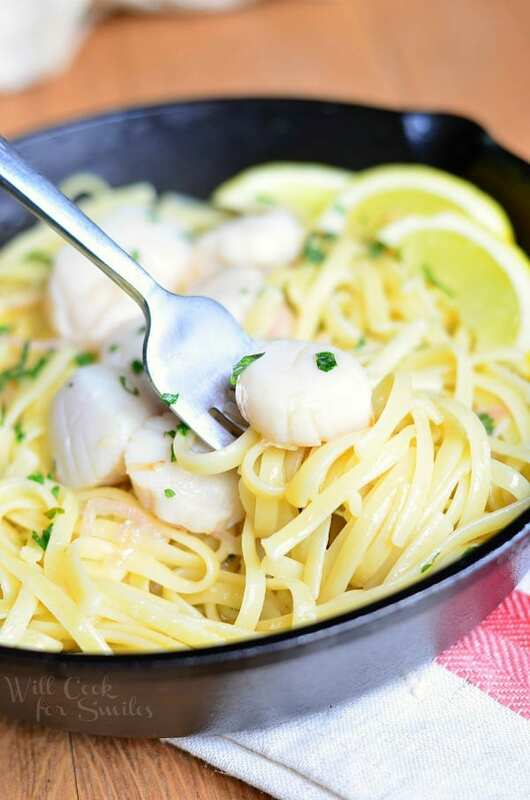 Stir pasta quick and constant as you are adding the egg mixture until starts to thicken and becomes creamy.Mix in remaining broth and keep stirring until all smooth. Serve right away. Top with more grated Parmigiano if desired. 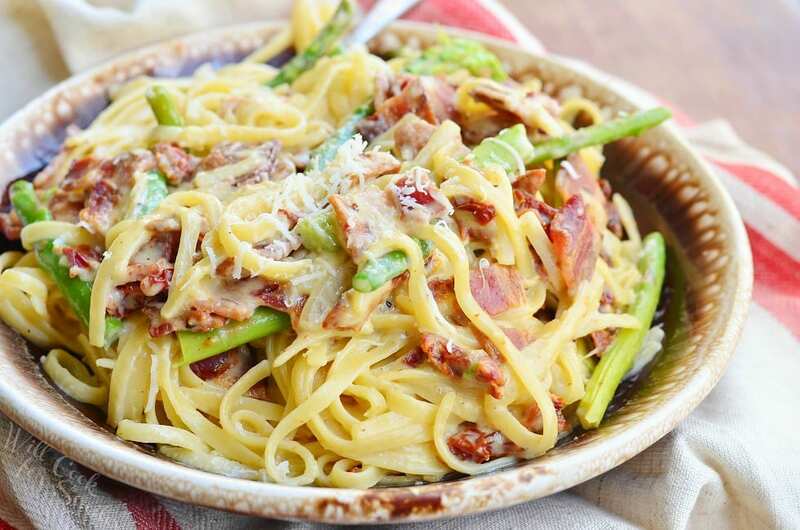 Loving the combination of bacon and asparagus! This looks amazing! And thanks for linking to my lasagna rolls! Of course, they sound amazing! Agreed, comfort food is good for the soul! Pasta is food for the soul!! We do eat it often but I try not to over indulge. My poor Honey has abaolurwly no will power so I don’t make any extra pasta. You’ve just added a healthy element of a veggie to it. Grazie, great recipe. I am sooooo looking forward to gifting my self on my birthday. I know your recipes and photos are going to be phenomenal. Thank you, Marisa! Hope you’ll try it and like it! Mmmm I LOVE asparagus and of course bacon. I bet this is amazing. And yes, pasta in small doses due to the hips holding on to it so make it worth it when we make it! This is totally worth it! Did you use the sun-dried tomatoes in oil or the dried ones. I use just dry sun-dried tomatoes, they come in a little baggie.